So I’m sure many of you have seen the amazing Phi Brows before and afters on Instagram… so after keep seeing them pop up in my feed I decided to go ahead and get them! 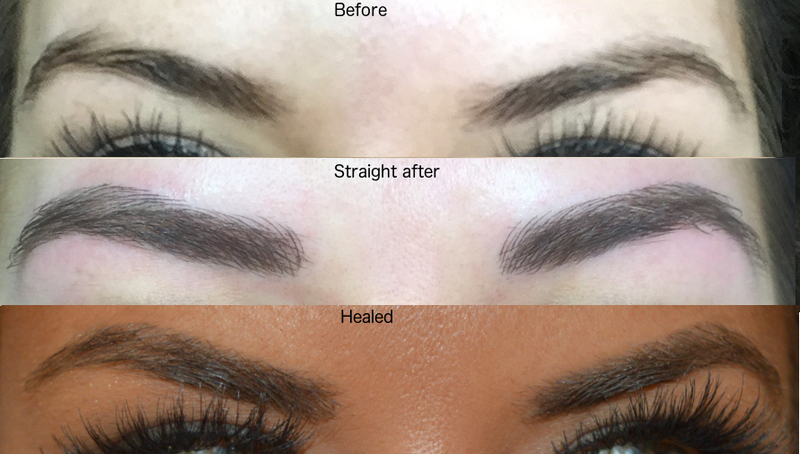 So first things first Inga drew the shape on according to the golden ratio, so your brows are perfect for your face shape!… Once she showed me and I was happy, she then drew in a very precise hair stroke pattern using her Microblading tool and the pigment. Two things I loved about it was a) the pigment doesn’t have heavy metals like pure synthetic pigments…but it isn’t completely natural either so it and so doesn’t fade blue or red (Amazing) and…. b) everything is disposable – so it feels nice and clean! Since having them done the one question I get asked is… ‘did it hurt?’…honestly…I don’t think it did, you can feel a scratch but it didn’t hurt for me! The top up actually hurt more but apparently this can happen depending on which point in your cycle you are in! 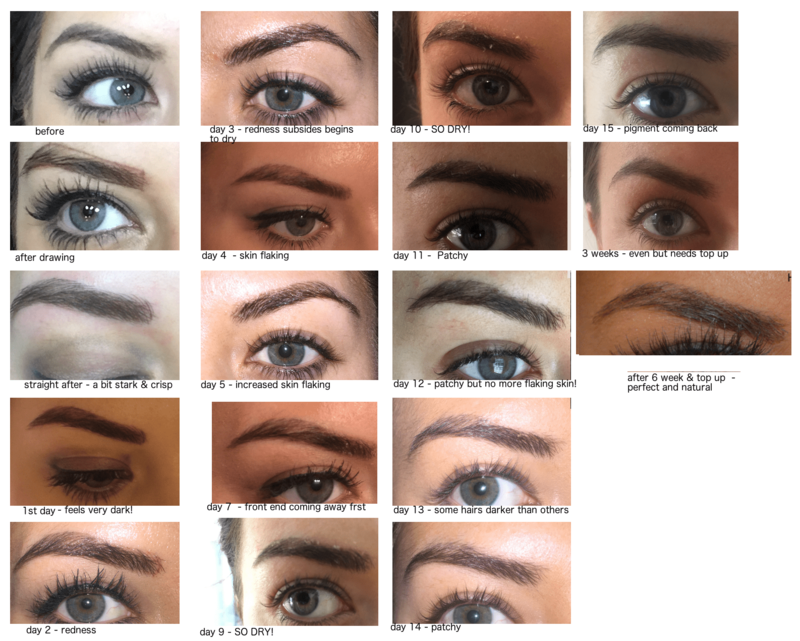 So within the first two weeks my brows went from SO DARK (Like …oh my life… what have I done to my face dark)… to red… then gradually faded lighter… then too light and scaley…then….the pigment comes back through the skin and they are the perfect colour again! This process is completely natural and correct and she had told me about this so I didn’t worry! – Then comes top up, where she just fills in any brow hairs that have faded as some don’t take as well during the first session. I was expecting the whole cycle again, but as you don’t have your whole brow done this time round it healed much quicker and easier. The end result I am SO happy with they look so natural and really blend into my brows so I don’t have to fill them in AT ALL!